Insurance statistics have shown the highest number of waterproofing failures are balconies, terraces, rooftops in high rise dwellings and commercial buildings. The design criteria in many of these buildings lack appreciation of water control. Water ingress into dwelling spaces below causes disputes between neighbors and often ends in litigation. The widespread problem of mold spoors from damp affected areas, which are detrimental to people’s health. 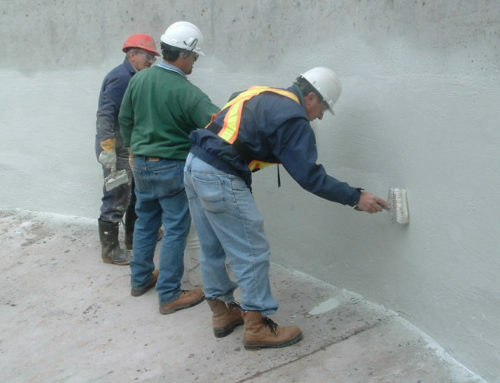 Water ingress is affecting concrete structures with an eventual demise of the critical structural components. 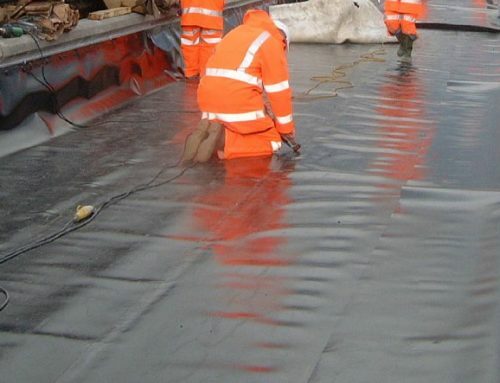 And it is not always the waterproof membrane at fault. Severe lack of planning prior to construction and NO building maintenance. Blocked drains, tiles lifting, no expansion joints, membrane under-screed which has deteriorated and leaking. 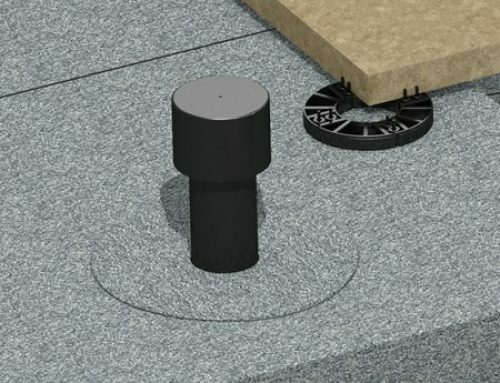 Minimal amount of drain outlets and the few that are installed are too small in diameter. 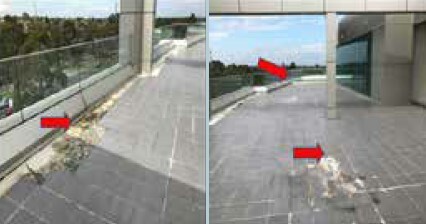 One of the main reasons for failure – ceramic tiling has very few expansion joints. 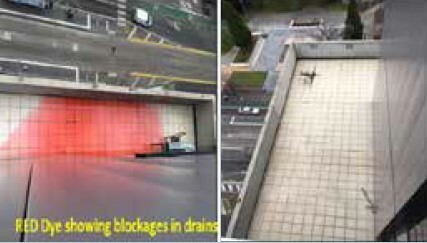 Tiles are subject to UV and heat, causing expansion of tiles which in turn compresses the few expansion joints available. Tiles lift due to compression and upheaving, thus tearing at the membrane allowing water migration into the apartment below. Simple error of not installing the adequate expansion joints correctly and possibly the incorrect selection and placement of membrane. Again, lack of adequate expansion joints. Very porous tile – highly absorbent terra cotta- and expansion causing sectional uplift. This in turn causing the waterproofing membrane below to tear. At least this balcony does have the membrane on top of the screed! Just poor tile installation.